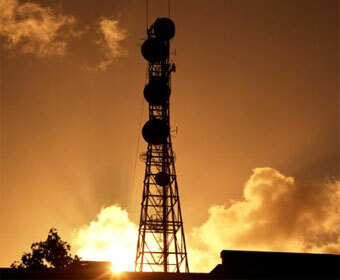 Indian communications infrastructure operator GTL Infrastructure is to take over the tower assets of local carrier Aircel in a deal valued at $1.84bn. Under the agreement, GTL will take over 17,500 existing towers and will take over rights to roll out 20,000 more. Aircel’s move is expected to be replicated by other operators across the Indian mobile industry as they attempt to drum up funds to participate the country’s forthcoming auction of 3G spectrum. The latest official date given for the auction is for this month, but after numerous delays this may be postponed yet again. It seems Aircel’s plans to capitalise on 3G data services are already underway. Last week the operator tapped up application services firm Infosys to build it an application store catering to Aircel’s almost 30 million mobile subscribers. Infosys will use its white label app store platform Flypp to power the shop front, which will host mobile applications drawn from an Infosys-managed ecosystem of independent software vendors. But until 3G penetration becomes significant, it’s unlikely that the types of applications in Aircel’s store will be anything like those now common to the iPhone and Android app stores, seeing as all of Aircel’s subscribers are currently equipped with 2G GSM handsets and generate a monthly ARPU of $2.36 according to Informa’s WCIS database. Instead we can expect to see mobile money and SMS-based m-payment applications, which are already driving data revenues in the emerging markets.